Retirement planning is an easy thing to put on the back burner – until retirement starts to get closer and you realize you haven’t made the proper preparations to put you and your family in a good position. To make sure you are ready for retirement and are able to sustain yourself financially for the rest of your life, you should get started as soon as you can. The good news is that retirement planning doesn’t have to be as complicated or scary some might believe. By coming up with an investment plan early on, and then sticking to that plan you should be able to make some decent headway towards reaching your specific goals. You will most likely have to sacrifice in the short term to be able to put away money as part of your plan, but that commitment will be well worth it in the long run. One of the biggest problems I saw in my job as a stock broker was that many individuals had retirement accounts all over the place. They would have accounts spread across a number of different online brokerages, not to mention several old 401k plans sitting with their employers. There is wisdom in having several brokerage accounts, for various reasons, but being too spread out will only make things more difficult especially if you lack the time to manage them all. That is also not to mention the fact that being so spread out can make it difficult to know exactly how diversified you are and if you’re overlapping in any areas. When it comes to retirement planning you want to make it as simple as possible, not more difficult. In the event that you do have multiple accounts then you’ll want to make sure you’re on top of them so they don’t go off track. Personally speaking, I use Personal Capital which is a free tool which allows to congregate all your accounts into one location – simply to watch how the entire portfolio is performing and see if there are any expenses you can mitigate. Another option to consider if you want to streamline your investing is to consider using a robo-advisor, like Wealthfront. With Wealthfront, or most other robo-advisors for that matter, you get the benefit of a financial advisor without the nasty fees. This allows you to focus on growing your assets and allowing someone else to manage the ins and outs of the investing for you. If your employer offers a 401k along with a 401(k) match, you should take advantage of it as much as possible. I love the 401k match as it’s free money, which there is none better especially when it comes to saving for retirement. Take the time to learn about the program and generally choose the funds that are lower in fees as those will likely be broad based index funds. If you’e not certain where to invest your 401(k) monies ask your Group Benefits area what educational offerings the 401k provider offers. Many providers will offer free courses or materials that will not only help you determine what kind of portfolio you may want to think of pursuing, but also make your retirement planning smoother overall. Don’t feel shy about taking advantage of those offerings as they’re there for you and your retirement planning is worth making sure you’re comfortable with what you’re doing. A great way to make retirement planning easier is to reduce your debt as much as possible. By killing your debt now you will have more money to put away for retirement as well as have little to none when you enter retirement. Things like mortgages and auto loans are great to try and eliminate while you are still working so you don’t have to worry about those payments once you enter your retirement years. The most important piece of retirement planning advice you can receive is simply to start as soon as possible. There is no time like the present to think about your future and how you are going to pay for it. Even if it seems like a long way off, retirement might be here sooner than you think and you need to have the money in the bank to handle your expenses and be able to live the lifestyle you hope for after your working years are behind you. 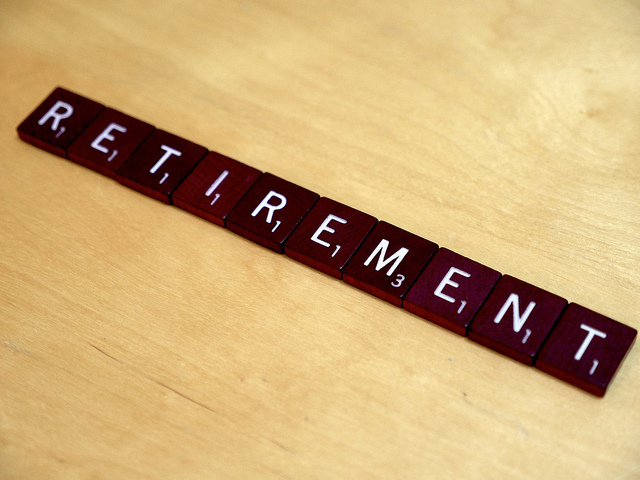 What are you currently doing to make your retirement planning easier to manage? When did you start actively saving for retirement? We currently have our 401K, Vanguard IRA/Rollover, and any individual stocks are in a seperate account, we currently use Tradeking, really looking for the lowest fees on trades. We use personal captital and it’s great to see where everything is at. I started saving right out of college with my first job, but such a minimal amount. That’s awesome you started right out of college! So many don’t and pay for it in the long run. That said, sounds like you have a good mix of things going on for you. My firm only has one fund and we can’t change anything within it, so I stick to investing it their fund, which is a Roth 401K, since they don’t match. I have a 457 plan which is the same as a 401k, it’s just a retirement plan for some governmental entities. No matching for me here, but I do have a pension. I contribute both to my 457 plan and in an IRA…mostly in Vanguard funds. Personal Capital is pretty cool since you get to see all your investments in one place. I know you’ve mentioned that in the past Andrew and it sounds like you have a pretty sweet set up. I agree, that’s what I love about PC, that and being able to see what expenses can be cut. Hey John, I wouldn’t say I have a detailed retirement plan yet. I have actively started saving, and I use Betterment to invest the money I do save. However, I haven’t thought on a long term level what it will take for me to live when I retire, I’m not sure what my goals should be, but I’m putting away a little over 17% of my income, so I think I’m doing OK.
That’s a great start Josh! That’s the major key, just simply starting. You can build out a lot from there as you get older and grow your assets, but simply starting is half the battle. I kick myself that I only put in 3% of my salary into retirement for years. I though I was smart to do that because it got a match. It was smart, but it would have been smarter to start with 10% and work up from there. If I could tell young people one things about retirement, that would be it. Start out with a percentage that hurts a little and keep working up. I think we will still hit our goals, but it’s much harder to play catch up than it would have been if we were just smart from the beginning. I feel the same way Kim. Getting the match is nice and all, but I held back for stupid reasons. I love the idea of starting out with an amount that is you’re going to feel a bit and work up from there. The 401k is the easiest way to start and maintain your retirement planning. Even if you only contribute a small percentage, you are at least on the path and headed in the right direction. Now that I started my own company, I don’t have that luxury, but hubby is keeping up with his. I currently have two separate accounts. My 401k is with Fidelity and I opened a Roth-IRA with Vanguard. I find it super easy to manage my accounts since I only have to remember two passwords. I also got rid of most of my debt. I should be debt free by the end of the year… until I buy a house. That’s awesome Aldo! I also do something similar with our investing and have them split between two brokerages. It’s fairly easy to manage and in the event one site is down I can still go trade in the other if need be. It’s still crazy to me that there are people out there that pass on taking their 401k match. It’s the easiest money you will ever earn, and it helps kickstart your retirement savings into high gear! I agree Jeff! It’s free money, which you rarely, if ever, get. I say take all that you can of it! Right now, we are currently working on getting out of debt before we start to really invest a lot into our retirement plans. We are putting away money now, but not as much as we would like. That makes sense Michelle. Kudos to you for still putting money away while paying off debt! I didn’t do that and still am kicking myself over that. I think I should start taking practicing on saving now so that I can stay out of debt.So as to live the life time I hoped for.The 401k is the easiest way to save and maintain money.